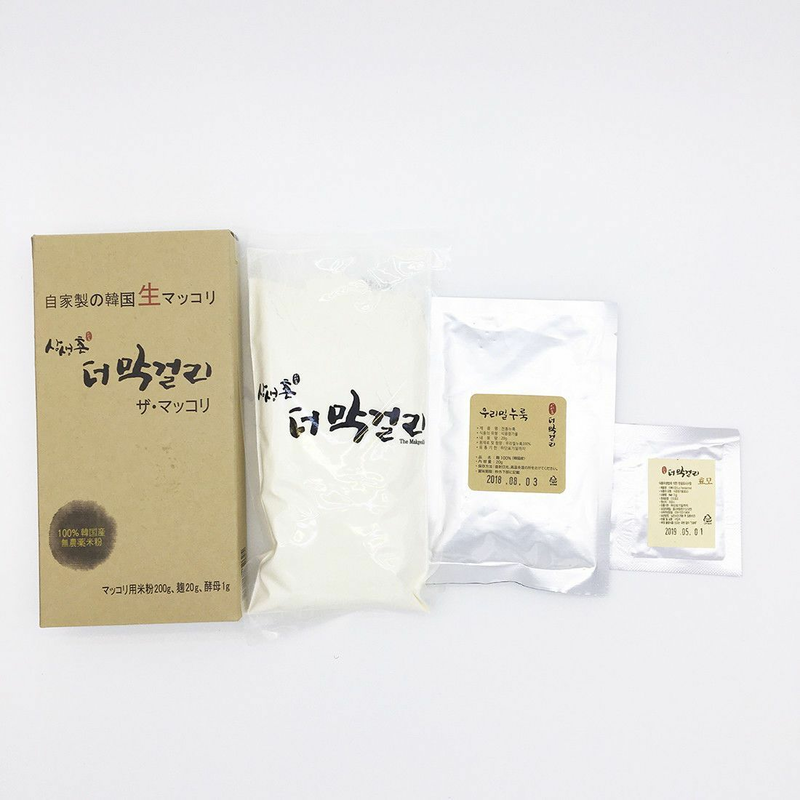 This Makgeolli Kit has everything you need to make traditional Korean rice wine. Contains Nuruk yeast strains. Manufactured by WinwinFarm & Co. which comes into the spotlight as one of the selected HIT 500 as a prosperous Korean Company, cultivating, processing and distributing Premium Organic Rice Goods. The wild yeast strains Y98-5 (Saccharomyces cerevisiae) and Y197-13 (Pichia anomala) used in this study were isolated from stock Nuruk samples collected from Chungnam Gongju and Chungbuk Jeungpyeong province of South Korea. Type strain S. cerevisiae ATCC 24858 (KFRI 1017) was obtained from the Korea Food Research Institute. Potato dextrose agar and potato dextrose broth (PDB) were purchased from Becton Dickinson (Sparks, MD, USA). Unless otherwise specified, all analytical chemicals used in this study were obtained from Sigma-Aldrich (St. Louis, MO, USA) and were of the highest grade available. Real Home Brewed Korean Traditional Rice Wine - made of 100% Premium Organic Rice, malt and yeast, implemented the Makgeolli, Traditional Korean Rice Wine as it was, fermented hard-boiled rice with malt. Easy to make Makgeolli, Korean Traditional Rice Wine	Just add proper amount of water into the Makgeolli DIY KIT, composed with a piece of Rice Flour, malt and yeast each, at the room temperature 25~28℃ to keep till well-fermented, usually 3~4 days, whisking twice a day by day and night without container lidded tightly not to spilled over due to fermentation gases. Traditional Rice Wine w/ Latic Acid Bacterium & Enzyme Unlike selling Makgeolli on the Market, Home-made Makgeolli available to enjoy the traditional tasty Makgeolli. Easy to make Alcoholic Beverages: You want to enjoy the taste of Makgeolli, just follow the indicated recipe. You may add more water to adjust alcohol content, or just add your preferences such as honey, organic sugar, oligosaccharide, fruit juice or fruited enzyme to build various, tasty Cocktails. 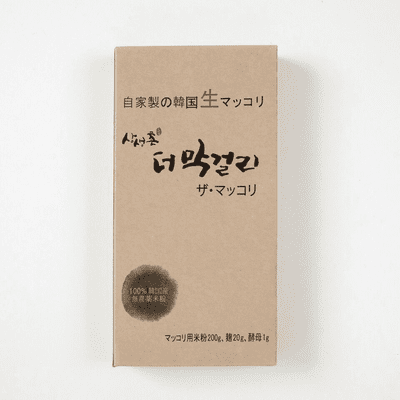 For Making Makgeolli: 2L Container(a glass bottle or plastic container), 1L Mineral water(in the case of tap water, please boil and sterilize water and cool it down to use) Makgoelli Set (rice flour 200g, malt 4g, yeast 1g), a whisk, a sieve. 1. Pour 1L of mineral water into the container and put Malt 4g and Yeast 1g into the water and dissolve them well. 3. Then cover it loosely, ferment it at 25~28℃(77~83Ｆ) at room temperature for 3~4 days or use an airlock to vent gases. *Caution: Don't cover it tightly. The contents can be spilled over by the release of the fermentation gases. 4. During the aging period for 3~4 days, stir it twice a day once the morning and again in the evening. 5. After 3~4 days of the aging period, the Makgeolli is finished brewing and you should see it separated into two distinct layers. At this point, strain Malt through a sieve. Or rack the yellow/clear fluid from the sediment. 6. Place the strained Makgeolli into a suitable container for keeping it refrigerated. The Makgeolli is alive, thus fermentation will still continue. Note: please cover it loosely even under refrigeration. 7. Since Homemade Makgeolli does not have added artificial sweeteners at all, its taste can be sour to some people. 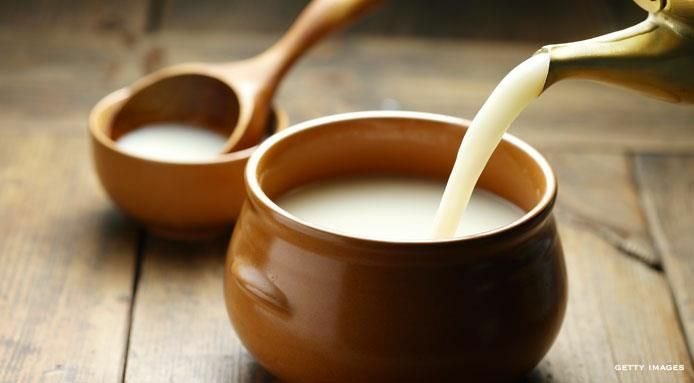 Whenever you drink it, you can add honey, sugar, oligosaccharide, fruit juice, or fruit enzyme to control the flavor and sugar content of Makgeolli to your preference. Then you can enjoy the healthy and delicious homemade Makgoelli!